Treasury management helps companies manage the cash and liquidity needed to pay employees, suppliers, or shareholders. This type of software can also be used to manage financial risks related to liquidity, to track investments and debt, and for forecasting. Treasury management is used by accountants and finance managers to track the ability of the company to convert its assets into cash (also known as liquidity) to meet financial obligations. Top executives and company owners use treasury reports and dashboards within treasury management solutions to improve the financial strategy of the company and to share financial information with shareholders, members of the board of directors, and business partners. Treasury management software can vary in complexity and functionality. Some solutions focus mostly on cash management for SMBs, while others specialize on liquidity management for large companies. 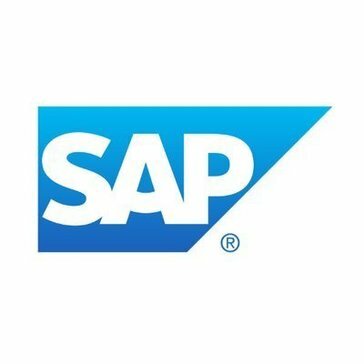 This type of software needs to integrate with accounting software and ERP systems to gather the financial information required to manage liquidity. Since liquidity is an essential indicator of the financial performance of a company, treasury management also integrates with corporate performance management software. 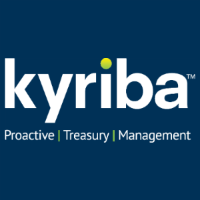 Kyriba is a cloud-based Proactive Treasury Management for CFOs, treasurers and finance leaders it optimize their cash, manage their risk, and work their capital. Connecting and integrating every member of your corporate treasury, from central treasury to subsidiary accounting, including their financial data, providing you with more complete, more accurate information all in real time making treasury transparent, and risks obvious. ActiveMargin is an enterprise class system that can manage the central treasury of a large conglomerate with deals several billion dollars in size. This solution enables leveraging of economies of scale across group companies, and internal matching of funding needs translating into significant savings across the group. aplonCASH is a modern treasury management system, enabling you to simplify and automate your company's transactions & relationship with banks, through a secure web application installed in your environment. ATOM Treasury and Risk is an integrated enterprise treasury management system (TMS) for corporations and financial institutions that automates core treasury processes including cash management, banking, forecasting, liquidity management, investments, funding, hedging, risk management, and financial reporting. Bank Rec takes the pain out of reconciling your bank accounts. Quickly and easily (and dare we say fun?) reconcile your bank accounts. With C2Treasury it’s possible to achieve 100 % bank connectivity and optimal cash management and liquidity management. C2Treasury can also help securely manage end-to-end payment processing. Calypso's integrated treasury solution centralizes balance sheet, funding, investment and cash management activities on one modern platform. CAPIX is a Treasury Software supplies smart systems solutions for the Capital Markets sector. CashValue is a comprehensive cash management software, which enables the corporate treasurer to manage his cash position on a daily basis, to forecast and to make short or long-term arbitrations. In addition to cash management software standard features, CashValue is able to make an automatic cash pooling of bank accounts, to create, schedule and execute netting sessions, and even an accounting module. Deluxe Treasury Management Solutions works with industry-leaders to accelerate working capital, improve straight-through processing, and drive profitable growth with in-house, hosted, or BPO solutions for receivables management, remote capture, payment processing services, and treasury management onboarding. DocFinance is an application for advance treasury management, and contains Remote Banking Telemaco services. GTreasury funds transfer solution makes moving money easy by centralizing all fund transfers into a payment hub, eliminating the cumbersome process of logging into bank websites. IBSFINtech’s Innovative Treasury™ Risk Management Solution is the solution to all the corporate treasury management worries! IBSFINtech’s Innovative Treasury™ automates processes, improves system transparency, enhances cash visibility and enables treasury department to focus on core decisions thus adding value to the organization. With INTEGRITY, gain a packaged treasury, risk and cash management solution deployed in a SaaS environment which offers a lower overall cost of ownership, greater standardization, and fast implementation. 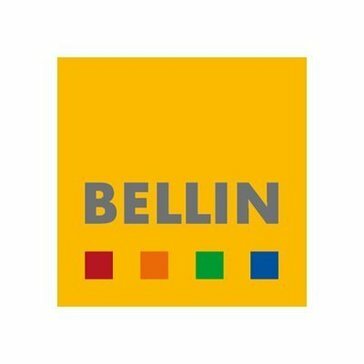 Capital markets platform that integrates treasury, risk management, investment management, and collateral management solutions. North Cape is a treasury solution that is totally web based. Openlink provides a consolidated, enterprise-wide view of commodities, treasury and risk on a single, consolidated platform. With QUANTUM, as an enterprise corporation, gain a sophisticated treasury, risk and cash management solution. By hosting the solution on premise or in a private cloud environment, enterprise corporations have greater control of the data, application ownership, and greater ability for customization. Reval is a global provider of comprehensive and integrated Software-as-a-Service solutions for Treasury and Risk Management, or TRM. RSM's Advanced Trade Promotions Management (TPM), enhances the core functionality of the Trade Allowance Management module within the Microsoft Dynamics 365 (formerly Dynamics AX) platform. It provides robust fund, promotion, payment and deductions processing, but more importantly, this closed-loop, fully-integrated solution provides comprehensive analysis tools. RSM's Advanced TPM solution provides complete visibility and control for food manufacturers to handle everything from analysis, funding and planning to execution and claim processing, and completely integrates pricing, order processing and financials throughout the enterprise. Since its foundation in 1985, Salmon Software has focused on delivering world-class Treasury Management System software. siena is quickly and easily deployed into corporate treasury functions and provides a highly flexible, cost effective treasury management software solution to automate functions typically carried out manually and on spreadsheets. This provides greater efficiency and regulatory compliance as well as full audit control. STAR is a complete TMS solution for corporate treasury, covering the full treasury business process front, mid and back office from transaction initiation all the way through to the settlement, reconciliation and accounting entries. Combined with comprehensive risk management capabilities and reporting, it provides a complete solution for effective treasury management. STAR TMS provides a comprehensive range of analyses and reporting for all cash flows, asset/liability maturity structure, duration, yield curve analyses, mark-to-market (MtM) valuation and interest rate and currency composition. STAR TMS has been designed by treasurers who have been extensively involved in sovereign debt management for many years and as such it includes the functionality demanded by treasurers in various debt offices worldwide. The system is designed to help you arrive at your cash position for the day in minutes rather than hours. Arrive at the office to find all your banking transactions from the prior day already loaded in your daily cash worksheet. Get a real-time view of your organization's enterprise cash position. Treasury Line provides today's treasurers with a comprehensive tool dedicated to short, middle and long term management of liquidities, financial operations and associated risks. The robust application integrates seamlessly with your legacy systems (or in the cloud), and can even handle accounting features such as payments, transfers and booking financial transactions. Simple or complex, we’ll deliver a treasury system that meets your needs. Easy to use and cost-effective, Visual Risk delivers the platform you need to effectively manage your treasury. Hi there! Can I help you find the best Treasury Management solutions?